Homework offers some consolidations, revision and practice of skills. It provides an important liaison between home and school, reinforcing the concept that learning is universal and not confined to classrooms. It helps establish autonomy and independence in learning. Homework consists of tasks to consolidate the core skills in reading, spelling and mathematics basic facts. It is important to note that no child should find homework a source of stress. Please contact your child's teacher if you sense that your child is frustrated or unable to cope. In addition, homework should not stop children from healthy, worthwhile pursuits outside of school time, such as involvement in sports. Parents and caregivers complete the home reading logbook with children. Learn 5-10 spelling words from the highlighted 'Essential Words List'. Complete basic facts activities at their own pace and level. Parents and caregivers complete the home reading, spelling and basic facts logbook with children. Read an assigned book or something of personal interest each night. Learn 10 assigned spelling words from the classroom programme. Complete basic facts tasks at their own pace and level. Parents and caregivers complete the home reading, spelling and basic facts logbook with children. Please note that students in these year levels may have optional challenges to independently complete. These are communicated to students via the classroom and/or website. Read something of personal interest each night for 20 minutes. They will record their reading in their diary or reading log. Learn 15-20 assigned spelling words from their classroom programme. Complete mathematics homework that relates to their classroom programme. Parents/caregivers offer support where needed and sign the homework diary weekly. 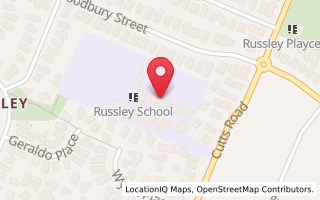 Students can work towards excellence badges by completing the optional homework challenges located on the Russley School website.